you know that lovely hat by kate davies i mentioned a few weeks ago? well, i bought the pattern at once, but didn’t get around to buying the yarn. emmy, a blog and ravelry friend had also fallen for the pattern and had ordered the yarn almost immediately from jamieson & smith. 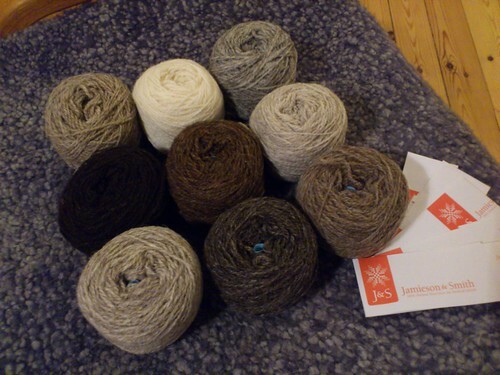 she had a brilliant idea – since the pattern require all nine natural shades of shetland wool, and only very little of each, we could share the yarn! 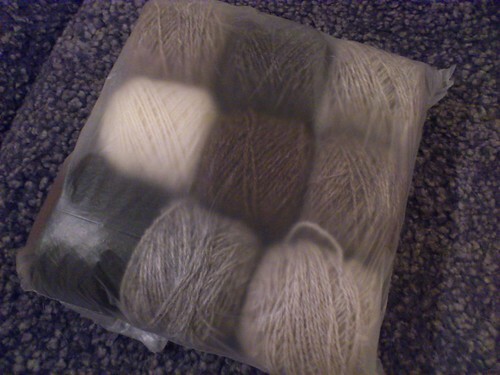 hooray for wonderful ravelry friends! jamieson & smith delivered very quickly, and emmy wound off half of each ball and sent it to me – oh joy!